The Spanish architectural visualization studio Draw Your Dreams shared with us free resources section. 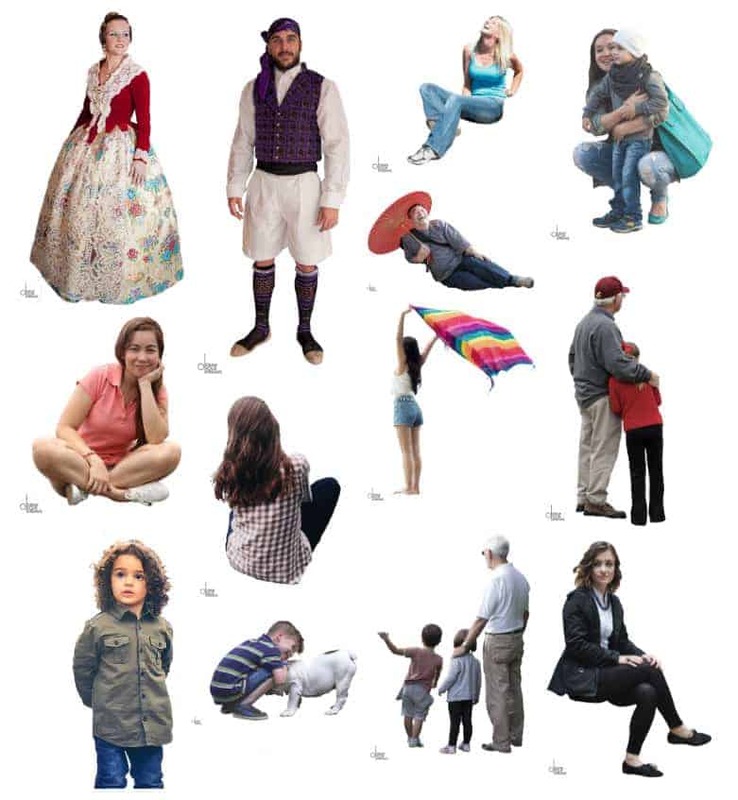 This collection with more than 100 human person scales to download in .PNG format. Click here to go to the site and access the material (it takes a while to load).